Win A Video Dedication From Justin Bieber! You've watched tons of videos of Justin Bieber on YouTube, but did you ever think that you'd be able to watch one with a special message from him just to you? You read about it first in the December issue of J-14: Justin Bieber and J-14 are making it happen for one lucky fan, all you need to do is send Justin your holiday wishes! The J-14 editors will choose the most creative card and that winner will score a YouTube video dedicated to you by Justin himself! It'll even appear on his official site, justinbiebermusic.com! 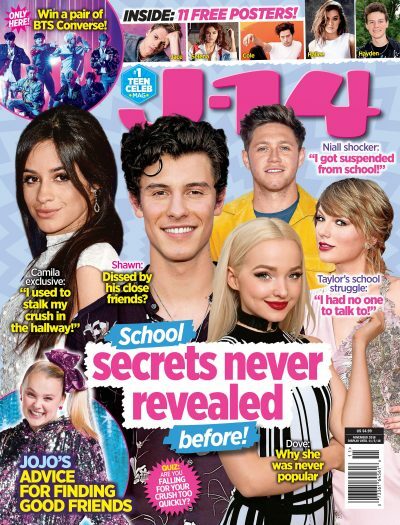 Keep checking back to j14.com to find out more ways to win, and pick up the December issue of J-14 for deets on all of our Justin Bieber contests! We can't wait to get your holiday cards — start sending! For official rules, click here!